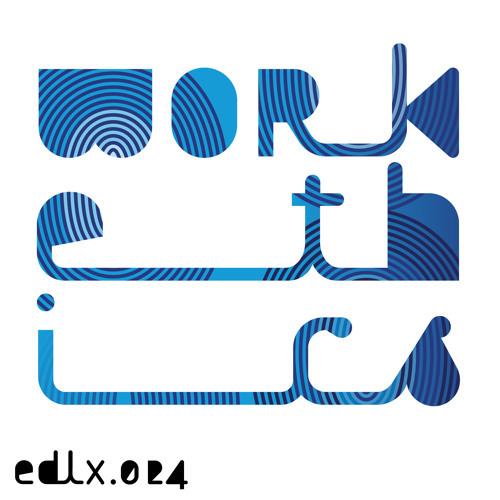 EDLX.024 – Brendon Moeller - Work Ethics EP Tracklist A1 Adjust to the Fading Light (Ben Klock remix) A2 Adjust to the Fading Light (Echologist reshape) B1 Writing Wrongs – CV313 reprise B2 Writing Wrongs – Craig McWhinney Rmx Gearing up for the release of Works, Brendon Moeller’s long player homage to “the spirit of techno”, Electric Deluxe taps two of the album’s polar moments for remixes to deliver Work Ethics. Selecting one of Works’ toughest tracks for the A-side, “Adjust to the Fading Light”, the EP opens with a rare vocal refix from Berghain resident Ben Klock. Whilst difficult to pin Klock’s productions to any particular style, as a remixer he’s proven even more versatility and vision, reworking artists as diverse as Martyn, Kenny Larkin and Depeche Mode to Emptyset and Steve Bug. Meanwhile Moeller mutes the hats and brings the track’s whirring dystopian bed to the fore with his Echologist version, jettisoning its original surge for more swollen and experimental terrains. On the flip, Works’ luscious dubbed out number “Writing Wrongs” is pulled further apart and dragged to dark subaqueous depths by Echospace duo Rod Modell and Stephen Hitchell as cv313. Melbourne-based producer Craig McWhinney on the other hand takes “Writing Wrongs” in the other direction entirely, soaring past Moeller’s original to conclude Work Ethics on a hazy sun kissed dub trip that’s altogether soothing, light and mesmerising.